By Meredith Chilson on June 5, 2013 Visit Meredith's Website. I’ve come to know, through the Wonders of the Internet, a young couple in Oklahoma who have given up suburban living to build a homestead and grow a market garden. Building a home for new chicks. When I read that they are going to start raising chickens on their homestead, I asked if I could talk to them—and share with you—a bit about their plans. Will you tell a bit about your homestead? Where do you live, how much land do you have, what livestock do you have, etc. 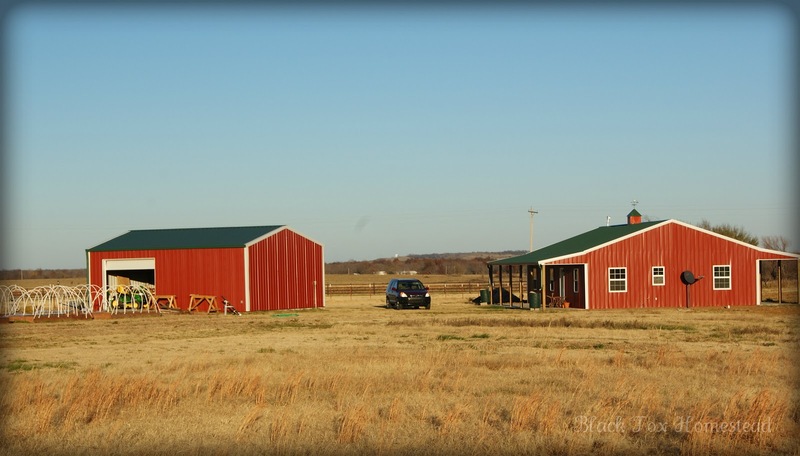 We homestead on ten acres in a small rural farm town in North Eastern Oklahoma. Other than four shih-tzus who are learning to be farm dogs we do not have any livestock. We hope though to some day have ducks, dairy goats, and perhaps some geese. We’ve also knocked around the idea of a cow or two for beef or dairy. Have you ever had chickens before? Any experience with them? I have wanted chickens for a very long time, but no we’ve never had them before, and other than seeing a few at the county fair, we do not have any experience with them. This will all be new for us. Why are you getting them now? Meat? Eggs? Pets? If for meat, will you be doing the processing, too? If for eggs, will you be selling them? We’re getting them because we want to take another step in becoming a self-sustaining homestead; so we’re really looking forward to having them for the eggs. We have a small produce business, selling heirloom vegetables at the local farmer’s market. Since the weather in our area is so difficult for gardening we wanted to diversify our income streams and hope to sell eggs at the market as soon as we are able. Our chickens will not be pets, we do plan to cull the flock from time to time, and we have tentative plans to try meat birds in the future. We plan to do the processing. There aren’t any butchers in the area who will do the job, and if we are going to eat them, I feel it is important we do that ourselves. How many are you getting? What breeds? Why did you choose those breeds? For this first time we’re just going to get eight Rhode Island Reds. We chose RIRs because they were reported to be a good laying dual-purpose breed. We also have very hot summers and I wanted to be sure and get a breed that would tolerate the heat. Just pullets. We’re not quite ready to deal with roosters just yet; although again, for the purposes of being completely self-sustaining I see a rooster in our future. Are you hoping to raise your own chicks at some point? We are. I think we would really enjoy that. Are you picking them up, having them delivered through the mail, or have you made some other arrangements? We like to support local businesses as much as possible so we located a reputable hatchery not too far from here. We’re going to pick them up. What sort of preparations have you made for the chicks? We’re in the process of setting up a brooder in a large 30-gallon plastic bin. We have bedding, a feeder, waterer, and a heat lamp. We’re going to set them up for the first few weeks in our guest bathroom. I think it would be the easiest place to clean once they’ve graduated to the coop. Tell me a little about your coop. My husband is building it. 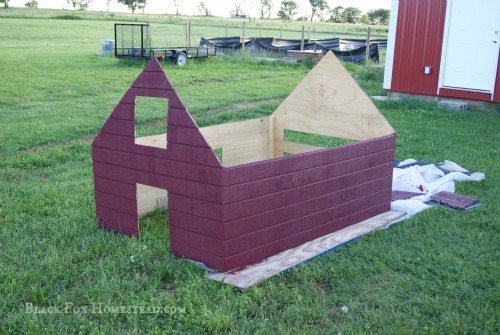 It will eventually house about 12 ladies, has nesting boxes, a roost, and a hinged roof for easy cleaning. We’re covering the vent and window with hardware cloth, and both will fasten closed at night. 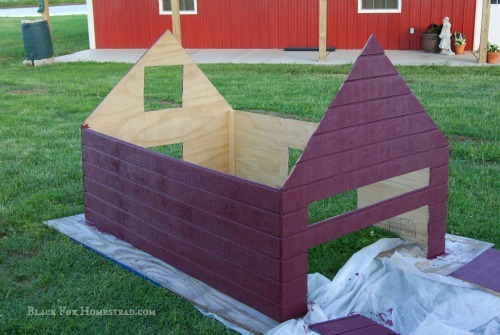 It will be painted red with a green roof to match our home and our barn. It will look like a little house and I’m resisting the urge to hang a wreath on the door. They will have access to a small yard, but we plan to build a tractor so we can use them in the garden for pest control and be protected when we put them out to pasture. What do you think will be the biggest hurdle (what are you most worried about)? My concern is my lack of experience ~ this is our first time keeping chickens. I worry about diseases, predators, keeping them fed, cool, clean, and happy. I plan to handle this by educating myself and getting advice from other chicken keepers. What are you most looking forward to as a chicken owner? Meeting our little chicks for the first time, and introducing them to their new home. I look forward to that first egg, and eventually making homemade quiche with our own eggs and herbs from our garden. I look forward to seeing our flock grow and trying out new breeds. I look forward to being able to provide potential customers with beautiful farm fresh eggs. 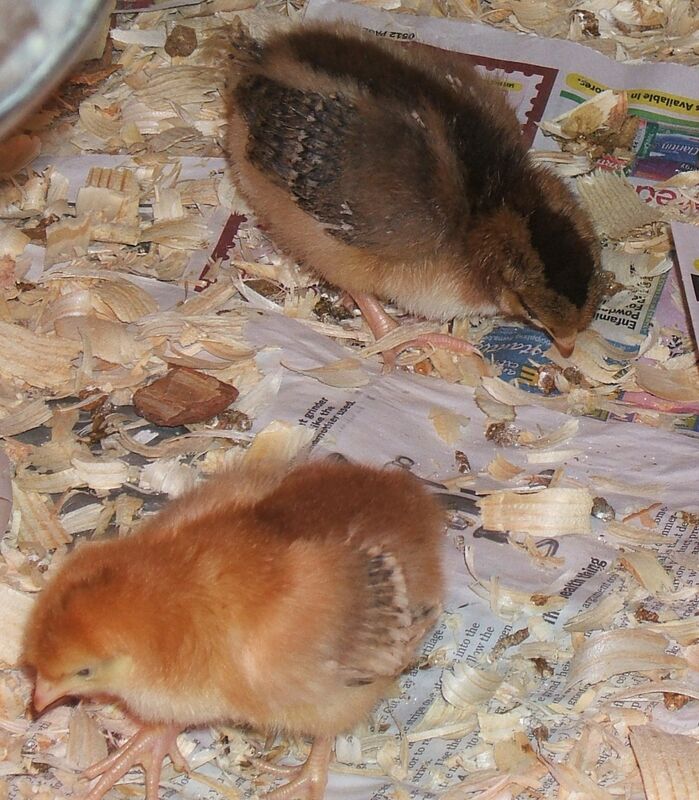 The new chicks, I’m told, will be arriving this week at the homestead! Community Chickens friends and neighbors, I have a request. What is your best advice for a newbie chicken owner? Remember, they have never been chicken keepers before. What did you wish someone had told you when your first chicks arrived? 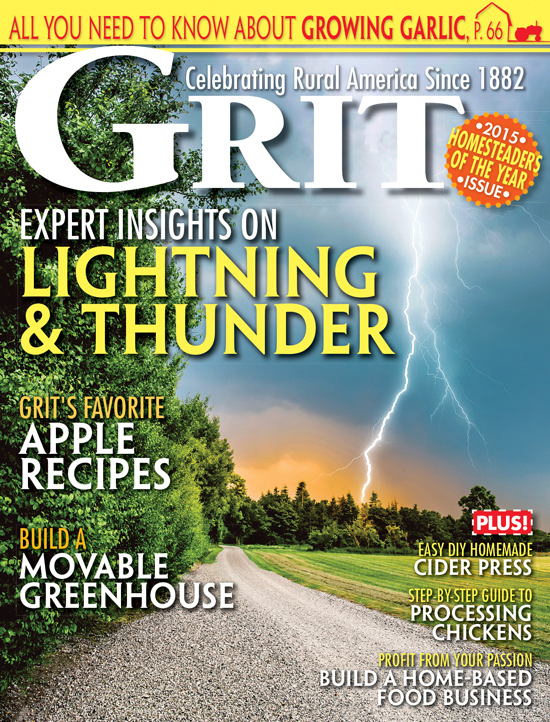 Will you leave a comment for the Black Fox Homesteaders here? Dear Black Forest Homesteaders: I would recommend you try and build a larger coop. This one looks a little small for 12 hens, and does not look like you can insulate against harsh winter cold. The larger you build the coop the more space you will have for the growth of your flock, and if you are like me, you triple your flock in the next couple of years. We started with six and now have 24 pullets and five roos – but built two coops to start with knowing that we would grow our flock as we also sell our eggs at the local farmers market. Planning ahead and building first before you get the pullets/roos puts you ahead of the maintenance issue and saves time, money and getting overwhelmed! Best of Luck! Like many other things on the farm, chickens can be as difficult and involved as you care to make them, or extremely simple. I make mine simple. I’ve had chickens since I was a child, more than 50 years, and Rhode Island Reds are one of my favorite breeds. Here in Michigan they tolerate the cold winters and the hot summers, they tend to be quiet and calm and friendly, generally very friendly birds. I’ve not had many “tragedies”, but I once lost an entire brood due to a leaky waterer and they got wet and cold. I lost a couple to the neighbor’s dog when I overestimated their size and they got out into the yard through the fencing. One of the biggest mistakes people make is crowding their birds or not cleaning their living space regularly, particularly in the winter when they are mostly inside instead of roaming about outdoors, it’s nearly a guarantee that they’ll get sick. Now I’m raising turkeys for the first time, they are three weeks old and I’ve only lost two out of fifteen, so cross your fingers for me. Good luck on the “processing”. It’s another thing I’ve done since I was a child but my “city” husband is still trying to figure out how to make it faster. You will make them pets, with that number of chickens. It’ll make processing harder but it’s a fact of farm life. They flap and fly at a surprisingly young age. They will acquire names, because though they are hardly the smartest creatures, they are personalities with feathers. Like children, your own chickens will outshine any others. You will be addicted,,have fun,,,enjoy,,I sure do..
Good Luck, like you I am a newbie too! Just this last Friday I purchased 2 (9week) olds and 2 (2week) olds. I also hope to raise chicks in the future too….. chrip chirp! Nice interview Meredith. It’s always fun to read why others dive into chicken keeping. And thanks Jenny for using my plans for your coop. I would love to see the finished product! I know your chickens will love it. Great interview. Hope they were safe from the tornadoes last week. Good luck to you and have fun. Raising chickens is not as hard as it seems. I have had them for years and they have been very easy . Just make sure you give them plenty of room to grow healthy that is 90 percent of the battle.